You might have never heard about this disease. It’s not a very common disease, this is related to hormones. It also builds a tumor which in result in an increase the in the hormones. This happens when your dog’s body produces more than needed hormones. A hormone called cortisol, which is responsible for the weight control of your dog, the sugar level, the response towards stress, fighting infection etc. In most cases, surgery is needed to cure it. It’s very difficult to diagnosed Cushing. It mostly seen in middle age and old dogs. 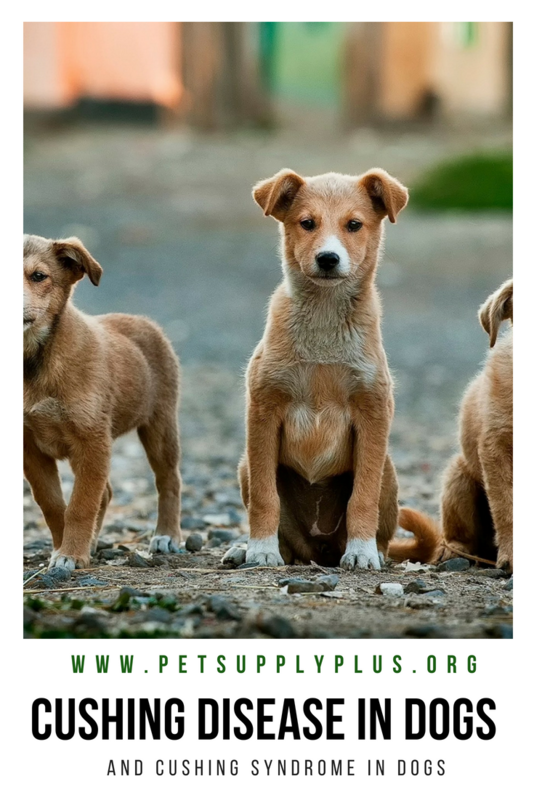 You may notice signs like your dog is more thirsty than usual, pees more than usual, keeps eating a lot, is growing a potbelly, is less active and may get skin infections easily etc. If you see all these signs in your dog you must visit the vets’ office as soon as possible. There are many ways to diagnose Cushing buy it’s tricky because most of the symptoms match other illnesses. (i) Adrenal depended:- In this case the tumor is built in the adrenal gland which is on the top of the kidney. 10% to 20 % dogs suffer from it. (ii) pituitary depended:- This condition is seen in most of the dogs. This is a condition in which a small tumor builds on the base of the brain. This state can cause death as well. There are treatments available for Cushing but if the tumor has affected the other parts of the body it’s tricky to handle it. It can be handled by surgery or medicines. Most doctors suggest surgery as it is an easy way to get the tumor out of the adrenal gland. If the tumor is cancerous then cancer can spread throughout the body which can cause death. Removal of tumor through surgery removes the risk of lifelong medication. Radiation is a process used to shrink the size of the tumor. This kind of treatment is useful in cases of a small tumor which is at the beginning stage. Medication is also a way to treat Cushing but it’s a lifelong process. The most common drug used is trilostane. But these medicines may have some serious side effects on your dog’s body. It is usually recommended giving the dosage of medicine, two times a day. In most cases the treatment given to them are successful. Few things may take time like the growth of fur and proper functioning of the body, but the increase in appetite and water may increase in a short duration. But always keep an eye on your dog’s improvement. If your dog is having any side effects then immediately visit your vet. Doing regular checkups and keep an eye on your dog’s health is a must. Knowing defense at an early stage will help your dog cure better and faster. Do not try to overlook even a small sign. Love, care, and proper treatment is the best medicine for your dog’s illness.